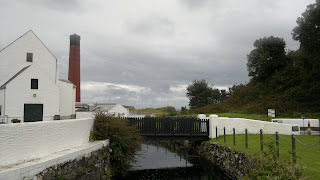 So the first distillery we visited when arriving on Islay last week was Lagavulin. There's no escaping these distilleries no matter what route or road you take on Islay. Beyond Port Ellen towards the south eastern end of Islay resides a famous trio; Ardbeg, Laphroaig and Lagavulin. 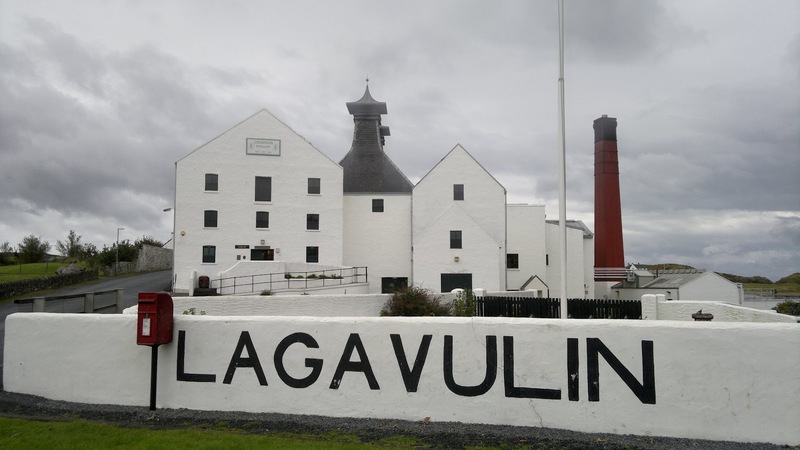 Leaving the tiny island airport and heading south, the first of the trio is Lagavulin. Sadly this was their silent season so no tours were available with the Jazz Festival having finished the previous week. Disappointingly all of the 2012 Jazz bottling had sold out 3 days prior, which is to be expected although these are already featuring on some online auction sites - a sign of the times I guess. Living on Islay will have some perks I'm sure! 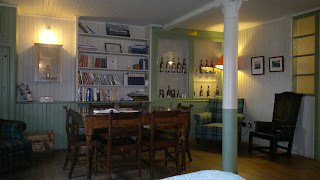 The distillery was good enough to stamp our classic malt books and offer a dram for a weary traveller. The shop is well stocked like any Diageo distillery and offers a range of products and bottles for passers by. 2 drams were offered up being the standard 16 year malt and the Distillers Edition. Ushered past the various offices we were sat in the tasting area which has a period charm to it and is littered with historical pictures and pieces of information; a splendid place to relax and enjoy a piece of Lagavulin. A roaring open fire was all that was missing here and some live music. 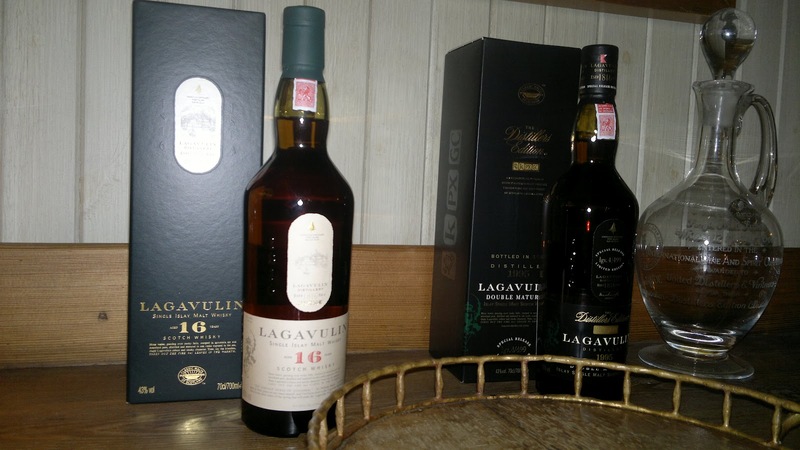 I prefer the 16 year malt, I'm finding on my travels and as my tasting horizons broaden that many of these Diageo Distillery Editions are often little more than a quick Frankenstein experiment with the malt put into another cask to provide a quick and efficient change in finish to prompt a higher price point. 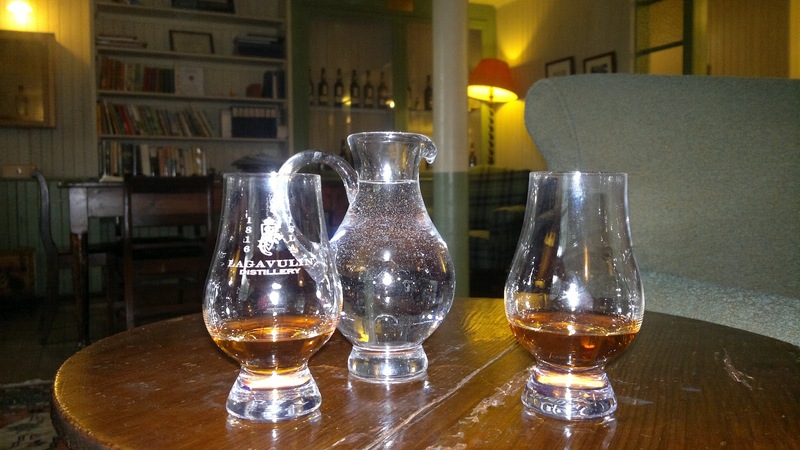 The Dalwhinnie version is a case in point and while Lagavulin isn't as blatant, you'll be reaching for the 16 year every single time. The 16 year is a rich, fantastic dram. I can see why many abroad love it so much and struggle to find stockists! 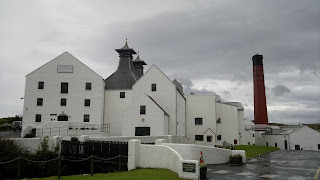 After refuelling, I handed over the car keys and we headed to our next distillery. 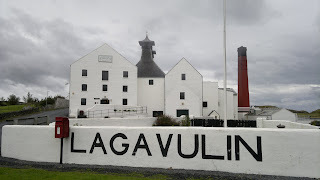 While it was sad not see more of Lagavulin, I've no doubt I will be back on Islay one day to fill in the gaps in our itinerary. 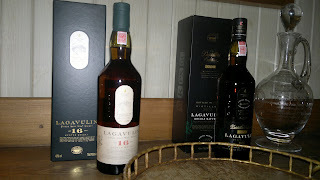 As always my photographs are available here, although for Lagavulin there are just a few. Now the next destination will be something special, yes its Ardbeg. I had the surprise honour of winning their Ardbeg Day event in Edinburgh earlier this year. 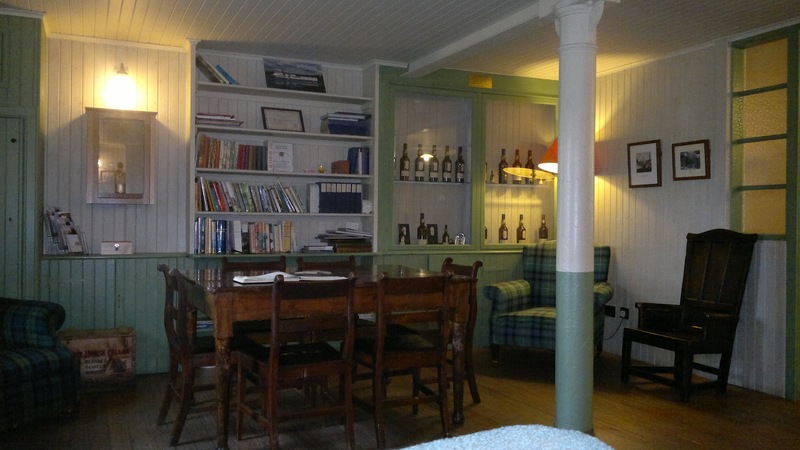 The top prize was a paid trip to Islay (hence this tour of duty), 1 night's accommodation and a extended tour around the distillery , finishing with a visit to the Chairman's Study for some Ardbeg drams and lunch at their splendid cafe. It was a fantastic visit! 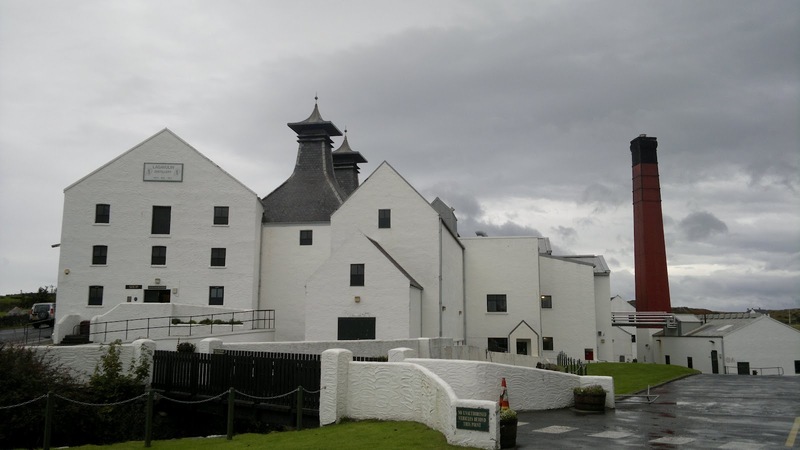 So expect some words later this week, particularly as I recall the greatest malt I've ever tasted!